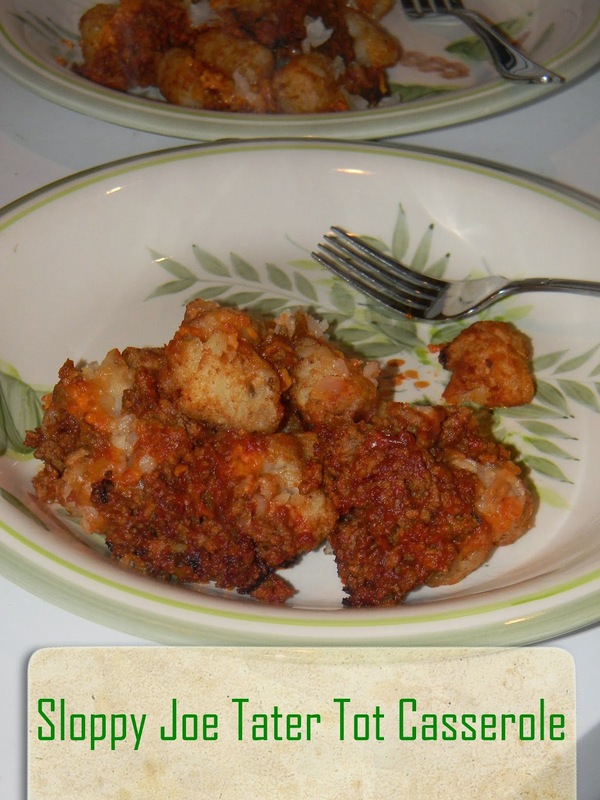 Here's another recipe that is inexpensive, quick to throw together and the kids will also like it. Preheat oven to 450 degrees. Brown ground beef and drain. Mix in sloppy joe sauce and simmer. Pour the meat into the bottom of a baking dish. Top with cheese. Spread tots in a single layer on top. Bake at 450 degrees for 20-25 minutes or until tots are browned.